Online businesses are expected to employ a fluid ‘one-web’ strategy with their WordPress deployments to ensure streamlined, responsive and adaptive website experience across all platforms and devices. Not only for users but also because Google now expects your site to work flawlessly on mobile. Converting your site into some sort of mobile version takes some thinking prior to choosing the best WordPress mobile plugin to do the job. You may only want to make a mobile site, as opposed to an app that sends out push notifications and uses geolocation services. You also might already like the mobile version of your WordPress site but dislike the menu that comes with it. So, the first step is understanding that there are different mobile interfaces to choose from. The first is a mobile website, which is often referred to as a responsive website, where the content of the site remains the same but it’s adjusted for mobile viewing using media queries (code). You could also go for a mobile plugin that turns your WordPress site into an app. This is a completely different program that generally has more powerful mobile features than your mobile website. This might even including doing a progressive web app. Finally, some of the WordPress mobile plugins are only for changing your mobile menu, since many mobile sites fail to generate decent-looking menus. In this article, we’ll outline several WordPress mobile plugins with drastically different features. Then, we’ll talk about the ones that might work best for you and your organization. One of the best ways to start learning which WordPress mobile plugin is right for you is by installing them on your WordPress site and seeing which feels right. So, here’s the shortlist of plugins we’ve tested and decided on. Even if you go straight for the in-depth reviews below this, I still encourage you to test out a few of them yourself–since some will work better with your theme than others. Upon first glance, it may seem like all of the WordPress mobile plugin solutions are pretty similar. You might think, why not just grab one and go with it? Well, after some in-depth research we realized that that’s far from the case. In the following review, you’ll learn how some of the interfaces are far more elegant than others, and how some of the plugins offer apps, while others are more focused on the mobile website. Saying that, keep reading to learn more about which features stand out in each WordPress mobile plugin. After that, we’ll outline which one is best for you in each situation. The WPtouch plugin is definitely one of the most popular choices when WordPress site owners need to quickly turn their websites into mobile interfaces. The key behind the plugin is that it quickly changes any theme you have installed and makes it more usable for people with mobile devices. One thing that’s interesting about WPtouch is that it factors in the Google Mobile Test and makes sure that your site passes that test. This way, you’re able to maintain your SEO rankings and potentially improve them in the future. With the free version of WPtouch, your desktop website design stays intact, but the mobile version is changed to a fast, stylish, and user-friendly version made only for smaller devices like phones and tablets. In addition, you’re able to complete this process without being a coder. A Premium Version of the WPtouch plugin is available for those who would like to improve their features with better mobile themes and certain extensions for incorporating advertisements into your mobile site. In addition to that, the Premium Version includes caching options, web font controls, and direct support from the WPtouch developers. You can purchase the WPtouch Pro plugin from its website. The cheapest plan starts at $79 per year and works on one WordPress site. If you’d like to put the plugin on more sites, or get developer or multisite support, you choose from one of the more expensive plans. All in all, the pricing looks rather reasonable if you’re interested in better-looking mobile themes and some features for ads, related posts, and more. What Makes This a Top WordPress Mobile Plugin? WPtouch has a free plugin that almost instantly converts your current website theme into a mobile one. The Pro Version isn’t that expensive, and it provides a wide range of beautiful themes and cool extensions for things like ads and advanced typography. The Settings page for WPtouch is consolidated nicely in the WordPress dashboard and it’s easy to understand for all website owners. You’re able to slightly customize your mobile browser viewing experience. For instance, the plugin lets you choose which browsers you want to support, while also giving you tools for changing around your mobile menu. The customer support in the Premium Version is offered through an email address and a comprehensive collection of how-to’s and best practices articles. The AMP for WP plugin provides a mobile website for your current site. The AMP stands for accelerated mobile page, referring to its speed and efficiency. It’s an impressive package that requires you to put in minimal effort to replace your current non-responsive theme. Also, if you have a responsive theme, it’s a good idea to test to see how fast it’s loading. If it’s not up to your standards, simply replace it with the AMP for WP plugin. The actual core AMP for WP plugin is completely free. You receive all of the features in a quick download from the WordPress plugin library. However, some elements on a mobile phone don’t quite show up as well when compared to a desktop. Therefore, AMP for WP sells certain extensions individually or in packages. You can also buy different mobile themes that are typically more functional and beautiful than the default ones. What’s great about this setup is that most extensions and themes sell for less than $10. One of the extensions is for posting ads on your mobile theme, while others allow your theme to work better with contact forms, WooCommerce, caching plugins, and more. There’s also the option to go with a membership and gain access to all of the themes and extensions. For instance, if you only need the extensions and themes for a personal site, it’ll cost you $149 per year. Several other plans are available, but it tops out at $499 per year for agencies that need the extensions on an unlimited number of sites. But just remember, the entire AMP for WP plugin is free. So, you shouldn’t upgrade unless there’s a specific extension that you absolutely need or if you’re trying to improve your theme. I’d argue that the majority of features are already packed into the core plugin, with tools for Facebook comments support, landing pages, email optin subscriptions, and more. 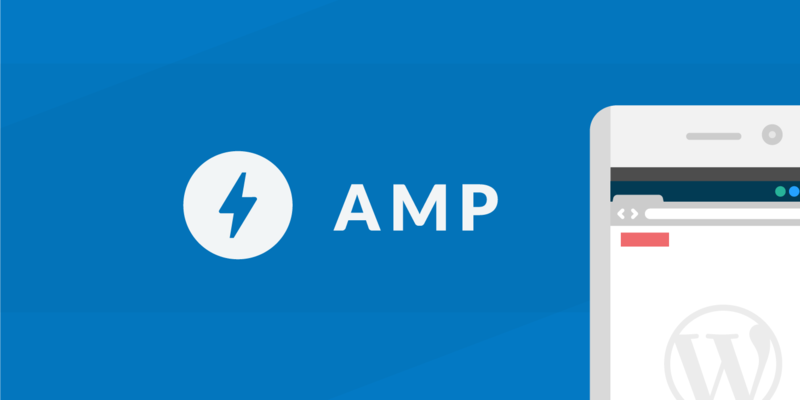 Check out our in-depth tutorial on how to configure and set up AMP for WP. The plugin is entirely free with most of the best features already included. There are plenty of other extensions you can get for less than $10. For instance, if you wanted your Easy Digital Downloads store to look good on the mobile theme, you could buy a plugin for that. The membership pricing is pretty reasonable, and it allows you access to all of the extensions and themes in the AMP for WP library. The mobile site that AMP for WP creates for you is most likely going to be much faster and cleaner than the responsive site that came with your WordPress theme. Note: AMP isn’t for everyone and we ended up disabling it on our website after we saw a decrease in conversions. Always test for yourself. Jetpack, as you may know, is from Automattic and provides a collection of tools so that you don’t have to keep installing dozens of plugins. You receive everything from security tools to social options, and design services to marketing modules. Considering this is an article about WordPress mobile plugins, it would definitely make sense to focus on the mobile capabilities. Well, Jetpack also provides a mobile theme that can be implemented for your website by going into your Jetpack settings area. The theme only operates when it detects a mobile device, and it can override your current responsive theme if you’d like to do that. The thing we like most about the Jetpack mobile theme is that it has a decent number of settings for adjusting how the website looks on these smaller devices. For example, you might want to change around how your menu looks, or display huge featured images if you think they look too cluttered on a mobile phone. This is a free feature from Jetpack, so it might be worth your while if you’re planning on using some of the other Jetpack features that come along with it. We also enjoy the simplicity of the Jetpack mobile theme. It almost looks like it has the basic WordPress branding, but you can change around the colors to match your own business. But overall, this is one of the most reliable mobile interfaces you can find. It’s clean, fast, and ready to make your website look good for both users and search engines. Although many of the features in Jetpack need to be paid for, the mobile theme is free and ready to implement with the click of a button. The theme is basic, but it’s modern and almost guaranteed to look great on all browsers and devices. This is a plus if you’d like to ensure that Google gives you a thumbs up for your mobile experience. The Jetpack plugin also includes lazy loading for images on the mobile theme. So, when a user scrolls down on your mobile website, the images won’t load until they actually reach them. This way, your site is running at a more efficient speed and doesn’t waste any resources until it needs to. The mobile theme automatically places your sidebars below the main content so that they are still on the page but not cluttering up the one-column format that works so well on mobile devices. Custom headers and backgrounds are supported, so you have a few settings for changing these around and making sure your primary images look great for your users. By default, the Jetpack mobile theme grabs your primary menu and displays that for mobile users. However, there is a way to adjust this and have a completely different menu show up for those people. Quite a few other settings are involved for things like hiding featured images, showing a promotion, or changing around your excerpts for blog posts. The WordPress Mobile Pack offers what it calls progressive web apps. These are fast, reliable apps with some interesting features such as push notifications and smooth animations for the mobile interface. It’s important to not be confused by how the developers use the term “app.” These aren’t apps like the ones you would download from an app store to your phone. These are standard mobile websites that get loaded onto the user’s browser. 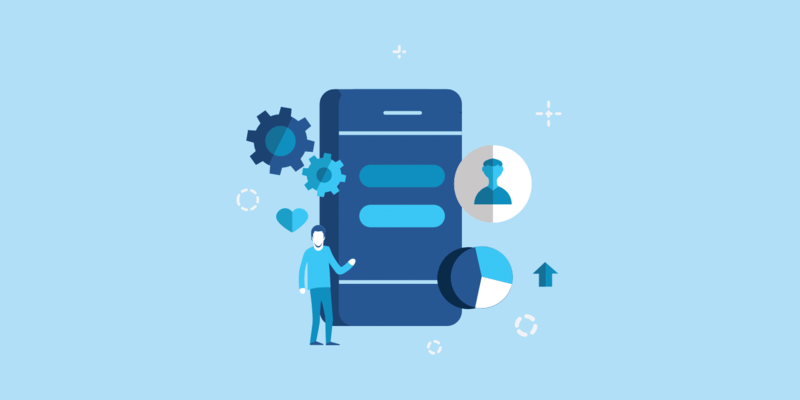 The reason they call them apps is because you get to choose from several templates that mimic the user interface of an actual iPhone or Android app. So, remember that if you want a real app for your WordPress site, you’ll have to look elsewhere. 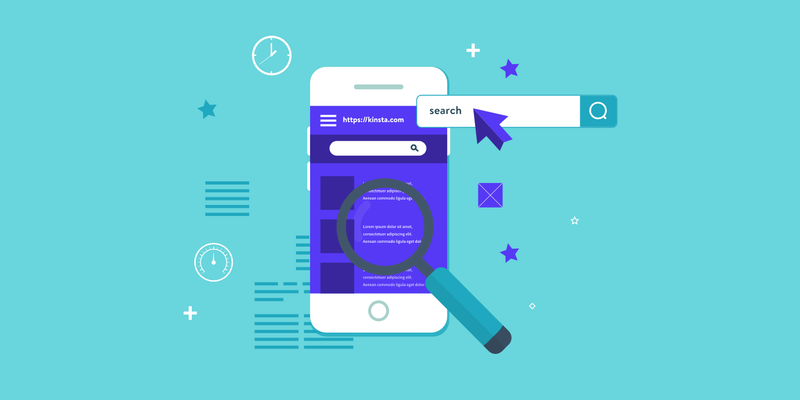 However, the themes are beautiful and this type of “app” design is sure to make your mobile site stand out compared to some of the standard responsive themes we’ve seen on the market. The free version of the WordPress Mobile Pack has a wide range of features and a simple process for setting up your mobile website. It tries to mimic an app the best it can, by prompting users to save the mobile website to their homescreen for later use. You also get a default theme that includes six different cover pages that rotate for a fresh feel at all times. You’re able to adjust items like your logo, fonts, and colors, all from the convenience of your WordPress dashboard. As we mentioned before, the WordPress Mobile Pack plugin does have a free version. But if you’d like to get more customization options and a large collection of app themes, the Pro version starts at $99 per year. The primary features are free with the core plugin. You’re able to upgrade for additional features, monetization options, unlimited push notifications, and more with the affordable Pro version. Although you’re receiving a mobile website, and not a real app, these templates look and work very similar to regular apps you have on your phone. For instance, all of the themes look more like an app than a mobile website. Also, you can send out push notifications and ask users to save a link to the page on their phones. You have options for deciding on which pages and posts will show up on the mobile website. For example, you might decide that it’s not necessary to show the Contact Us page on a mobile interface because you’re already showing a telephone number in the header. Readers have the ability to add your mobile website to their phone’s homescreen. This, once again, mimics the way an actual app works on the user’s phone. Google Analytics integrates with your mobile website, so you can distinguish between who and how many people are visiting your mobile site as opposed to your regular site. The WP Mobile Menu plugin is a great solution for those who would like to put more focus on the mobile menu part of your website. It’s quite common to see beautiful responsive websites that have terrible menus. Unfortunately, the menu is usually how someone moves around your website, unless they’re clicking on call to action buttons or links. The mobile menu should have a smooth slide-in effect, with large icons, menu text, and buttons. So, the main reason you would consider this WordPress mobile plugin is if you already have a responsive website that you enjoy, yet you think there’s something to be desired in the menu. Therefore, you would install this plugin and gain full control of that mobile menu without damaging what’s being shown from your previously created mobile site (potentially from your WordPress theme). These mobile menus are beautiful. They offer controls for Google Fonts, background images, naked headers, and more. You can configure the menu to show three depth levels or stick to the regular menu configuration you have for your website. The standard WP Mobile Menu plugin can be downloaded for free. It doesn’t matter how many websites you implement the mobile menu on. Some organizations would prefer the Professional version, which starts at $6.99 per month and allows for features like a header search, menu item icons, and 2000+ icons. There’s even a WooCommerce plan for $9.99 per month. This has all of the Professional plan features, along with a menu cart icon, sliding cart, and more. Finally, the Enterprise version is $39.99 and offers a private Slack channel, personal success manager, and special rates for custom development. It’s a great solution for those who already enjoy their mobile website design but would like to improve on the mobile menu. The core plugin is free, but you have other options like a Professional version, or an eCommerce version for adding items like shopping carts on the mobile interface. Google Fonts, and thousands of icons, are integrated into some of the plans, meaning you’ll be able to create a more visual mobile menu. You can decide on a naked header (which is somewhat transparent) or a menu with an image background. Both of these are excellent ways to stand out with your mobile design, considering you don’t see either that often. The free version includes options for three depth levels on your menu. You can go all of the ways up to five depth levels if you sign up for the Professional plan. Menu branding (with a logo) is possible in the Free plan. Users can hide certain elements from the mobile menu, instead of being forced to use everything from your regular website menu. The Max Menu Menu plugin works on multiple levels of your website design. Overall, it converts any existing WordPress menu into a mega menu–a menu that shows all page options even if there are dozens of them (perfect for eCommerce sites or online magazines). To start, your desktop menu is converted into a mega menu, then you’re able to customize which pages and posts are revealed on the menu. The plugin has been extensively tested on mobile browsers as well, so it does the trick for a mega menu on the mobile interface. The only problem is that you’re still stuck with the mobile version of your website, so hopefully, you already have a beautiful mobile interface that came with your WordPress theme. The plugin includes a drag and drop menu builder for cutting out any coding that would usually be involved. After installing the plugin and activating the menu, you’re able to place any WordPress widget into the menu, along with buttons to other pages on your site. All of the features are built on the current WordPress menu system, and it even supports flyouts and other animated menu styles. All of the features mentioned so far are included in the Free version, but you do have the option to upgrade to the Pro version of Max Mega Menu. It depends on how many sites you’d like to use the plugin on, but the pricing starts at $23 per year for use on one site. After that, there’s a Business License for $39 per year on five sites and a Developer License for $99 per year on 99 sites. The plugin has the unique ability to transform any WordPress menu into a mega menu. This is both powerful and special, since most of the time you have to choose a WordPress menu that has a mega menu from the start. The menus are built on both desktop and mobile versions, with settings for animations, flyouts, and fades. The menu provides an unusual feature that accepts WordPress widgets into the menu area. So, you could technically drop an image or custom code via a widget in the menu. You’re able to add icons to the menu without having to pay for the Pro version. The Pro version doesn’t cost much for the year and it provides features like a sticky menu, WooCommerce support, and Google Fonts. Some companies try to build an app or mobile website with WordPress and all it ends up being is an RSS feed pulling blog articles into the app. However, the AppPresser plugin takes a completely different approach by making real apps that link to your WordPress site. Therefore, you’re not generating a mobile site, but a legitimate app that goes on the user’s phone and could potentially be placed in one of the App Stores. The AppPresser program creates both Android and iPhone apps, using an excellent combination of features to integrate with your current plugins and make your website look unique and beautiful on a mobile device. Keep in mind that the AppPresser developers state that the plugin is mainly for website builders who have some experience. If you’re a complete beginner you might find this too complex and should contact AppPresser for custom app building services. Regardless, AppPresser has several integrated WordPress plugins. So you have the opportunity to link to plugins like WooCommerce and BuddyPress. Since it’s creating an app for you, there are plenty of other features like push notifications and device camera uploads. Since AppPresser is really only for developers, the pricing is a bit higher than your average mobile WordPress plugin. That said, it should pay off if you’re charging clients to make a mobile app as well as a website. The Starter plan sells for $19 per month and gets you the app builders, one year of support, and a theme. The real functionality comes along with the Agency plan, which is $49 per month and offers features like geolocation services, social sharing, and AdMob Ads. AppPresser helps developers transform a previously built WordPress site into a fully functional mobile app. This means the app can be saved on users’ phones and placed on any app store. It has several integrations for popular WordPress plugins, such as WooCommerce, LearnDash, and BuddyPress. The app doesn’t simply turn your WordPress site into a mobile blog feed. In fact, it’s one of the more powerful solutions that works with popular plugins and turns a WordPress site into a valuable app. Custom pages and templates are provided for you to customize outside of the content that is already on your website. An app tester comes with the program for running your apps through your phone and testing out all of the buttons and pages. AppPresser has an online dashboard for managing all client apps. This dashboard is available through your desktop. Not all of the plugins are going to work for every situation. For instance, some of them are only for building mobile menus, while others will transform your current site into a workable mobile website. To instantly turn your WordPress site into a beautiful mobile website – Go with either WPtouch or AMP for WP. To generate a mobile website that functions similar to a full app – Go with WordPress Mobile Pack. If you want to make a better mobile menu but keep your current mobile site – Go with WP Mobile Menu. To change your desktop and mobile menus into mega menus (leaving your websites the way they are) – go with Max Mega Menu. For the only option on this list that will make a real mobile app out of your WordPress site – Go with AppPresser. If you have any questions about the best WordPress mobile plugin for you, let us know in the comment section below. Hopefully, this guide helps you to the right decision!